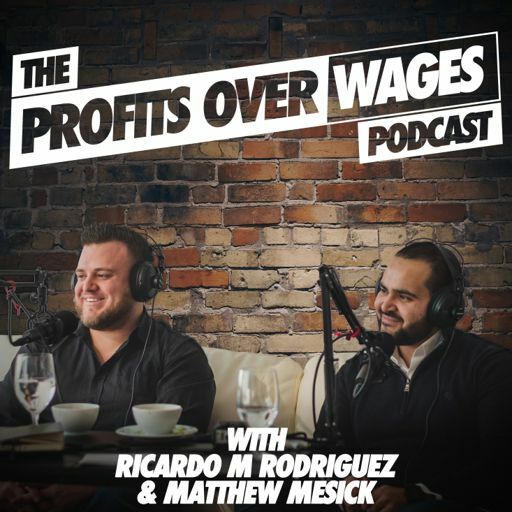 On episode #15 of the Profits Over Wages Podcast, we sit down and talk to Jeffrey "The Moneyman" Tandoc - Jeff has 15 years of experience in the corporate world as a controller and CFO, managing budgets up to $140 million. Jeff left the corporate world 10 years ago to become an entrepreneur and now works for himself as a commercial mortgage broker, wealth management consultant, financial literacy educator, and also aids businesses in establishing and growing corporate credit. He is the go-to guy if you need money for your business or need help managing or growing your money. On this episode we talk about, making the transition from employee to full-time business owner and entrepreneur, how to establish business credit and obtain 50k minimum in working capital within 12 months and how being resourceful and a problem solver will take you far in entrepreneurship.